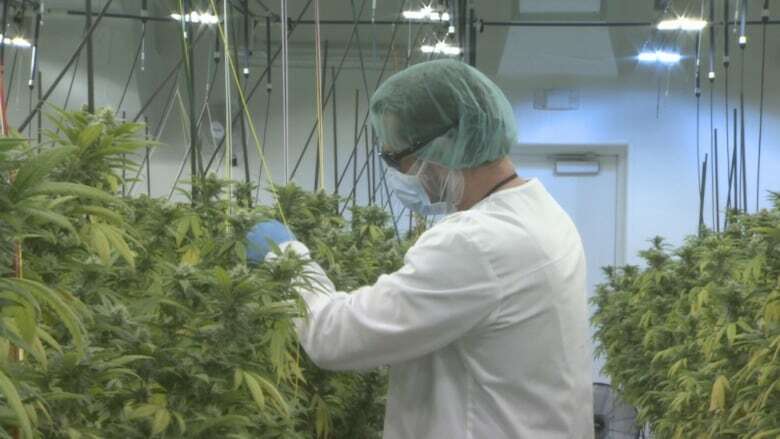 VANCOUVER, March 4, 2019 /CNW/ – Zenabis Global Inc. (“Zenabis”) (TSXV: ZENA) today announced that it has been approved to cultivate and grow cannabis at its 255,000 square foot facility in Stellarton, Nova Scotia. This represents the third Zenabis facility in Canada licensed to grow cannabis, adding design capacity of 18,500 kilograms of dried cannabis per year. The Stellarton facility features a highly advanced production environment that supports both growing and finished product operations, as well as new product development. The facility also includes areas for commercial-scale oil extractions, pharmaceutical grade manufacturing, and both plant-based and analytical R&D. Located on a 12.5-acre land parcel, the Stellarton site allows for further expansion in the future. Regarding production costs related to cannabis cultivation, the historical average cost per gram at Atholville has been $1.10 per gram. The forecasted cost per gram at Langley is $0.75 per gram. The expectation is that the company will be able to take efficiency measures that enable the Langley cost and bring them over to operations in Atholville and Stellarton. In addition, as of February 7th 2019 Zenabis is cGMP (Current Good Manufacturing Practices) certified (21 CFR Part 210 & 211), as recognized by SGS Systems and Services Certification. SGS is the world’s leading inspection, verification, testing and certification company. The significance of the cGMP designation from SGS is that it establishes that Zenabis is operating to US FDA (Food & Drug Administration) standards as detailed in Title 21 CFR (Code of Federal Regulations) Chapter 210 & 211. Title 21 governs food and drugs within the United States for the FDA. Note: Neither TSX Venture Exchange nor its Regulation Services Provider (as that term is defined in policies of the TSX Venture Exchange) accepts responsibility for the adequacy or accuracy of this release. If all facility space is fully built out and dedicated to production, Zenabis will own, and have access to, 660,000 square feet of high quality indoor cannabis production space, as well as 2.1 million square feet of greenhouse space at its Langley facility (an additional 700,000 square feet of greenhouse space will be used to continue the existing propagation business, to be converted at such a time that is beneficial to the strategic position of the company), strategically positioned on Canada’s coasts. These facilities, if fully converted for cannabis production, would have the design capacity to yield 479,300 kg of dried cannabis annually, for both national and international market distribution. The Zenabis brand name is used among the medical market, while Namaste is used to service the recreational market. The management team at Zenabis has significant experience in finance, agriculture, technology, pharmaceutical sales, consumer packaged goods, international distribution and brand marketing. Zenabis has established distribution relationships with government and third-party retailers/distributors in 9 Provinces; British Columbia, Alberta, Saskatchewan, Manitoba, Quebec, New Brunswick, Nova Scotia, Prince Edward Island, and the Yukon Territory. In addition, on February 4, 2019, Zenabis announced an agreement with Shoppers Drug Mart, adding a major new retail channel to serve medical patients across Canada.